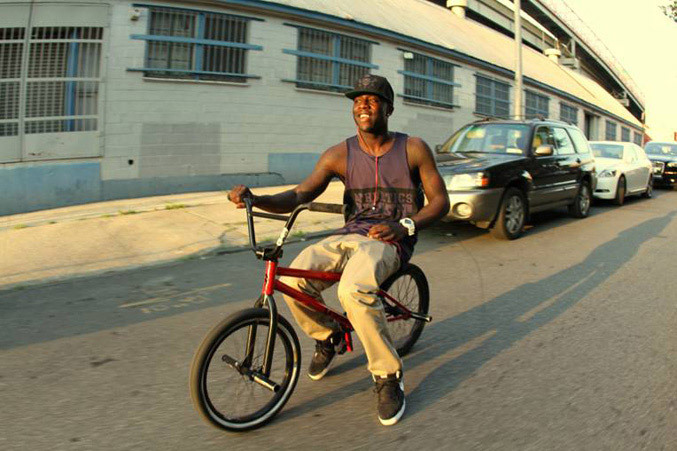 Casio unveiled another collaborative timepiece model, this time bearing the style of Nigel Sylvester, a pro BMX street rider who has joined as a new G-Shock team rider. 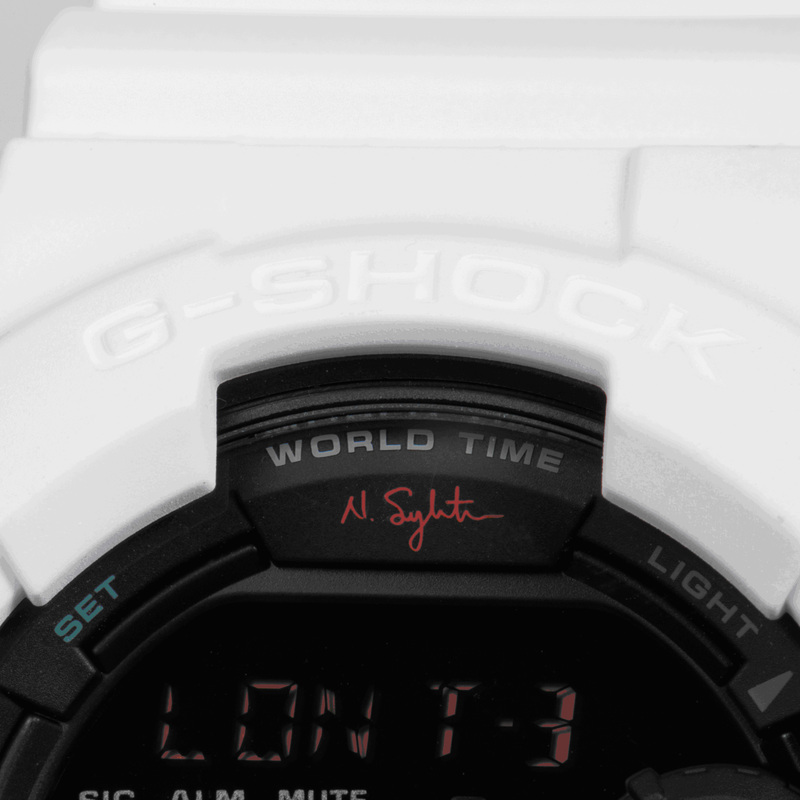 The new GD100NS-7 model features stark white band with a contrasting black face and Nigel Sylvester signature emblazoned in red. 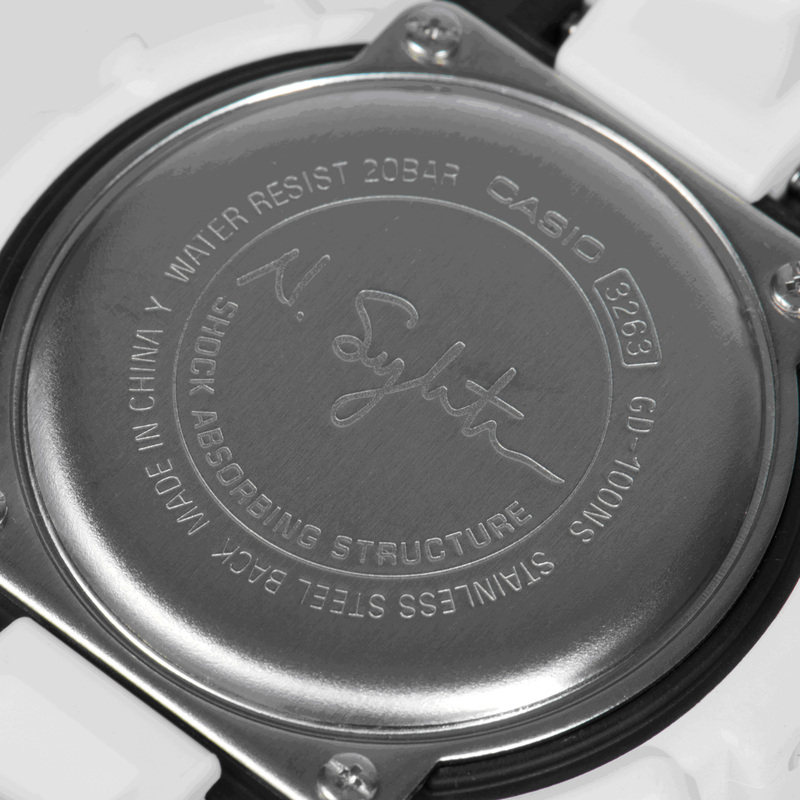 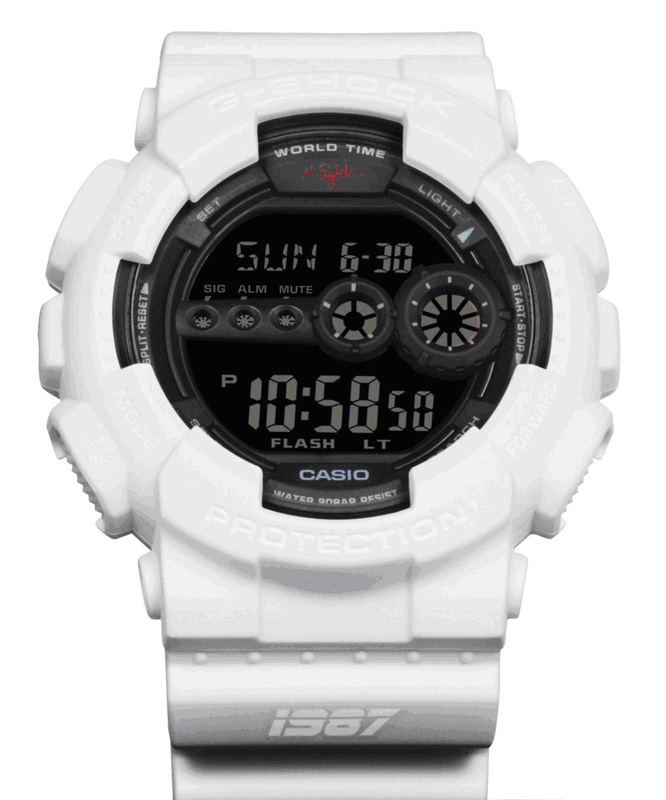 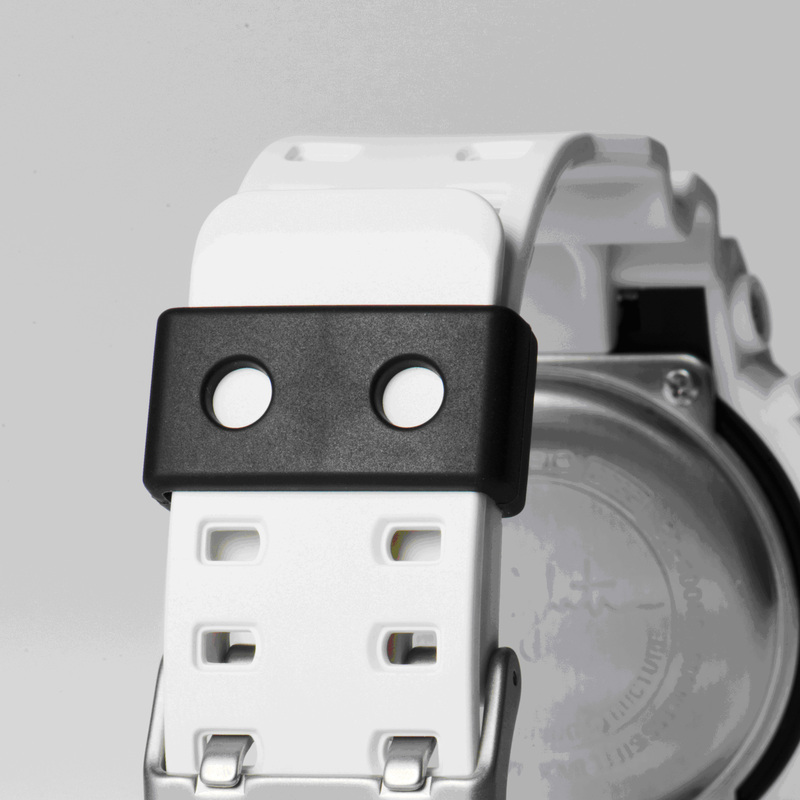 It comes with the standard for the G-Shock watches toughness and durability, offering 200M water resistant and additional features like auto LED (super illuminator) with flash alert, 48-City World Time, 5 independent alarms , 1/100th second stopwatch, countdown timer, 7 year battery and 12/24 Hour formats. 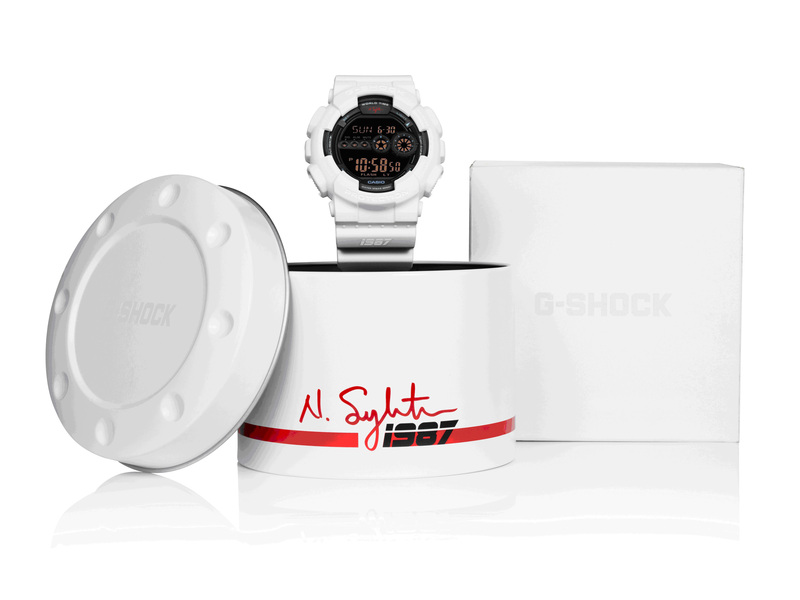 The Nigel Sylvester Signature G-Shock model will go on sale this August for $110.